It is illegal and against the law to drive with a cracked windshield in San Diego according to California Vehicle Code (VC) Section 26710 : Defective Windshield and Rear Windows. You’re more likely to get pulled over by the police if you have a cracked windshield. It may be unlawful to operate a motor vehicle with a defective windshield depending on the state you reside in. For example, driving with a cracked windshield is illegal in San Diego, CA. If you get pulled over you may be required to correct the windshield within 48 hours and possibly receive a notice to appear in court and produce evidence that the windshield has been repaired and conforms to requirements. If you’re in San Diego, California or anywhere in California you are likely to receive a ticket for having a cracked windshield. The law applies to all motor vehicles including trucks, buses, fire trucks and more. A small crack in your windshield may seem like a small detail that can be overlooked but it can spread quickly if not repaired in a timely manner. 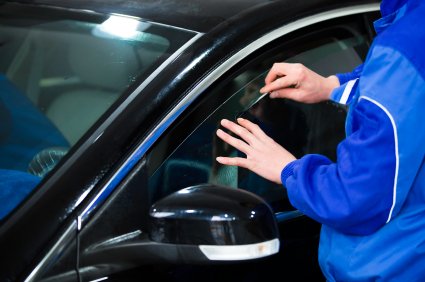 Repercussions of not repairing a crack in your windshield include a weakened windshield which will need replacement, getting pulled over by the polic and a loss of structural integrity and ineffective air bag deployment. Minor cracks and chips are generally inexpensive to repair. Once the crack spreads the entire windshield may need to be replaced which is significantly more expensive. Safety concerns are another issue since a damaged windshield is generally weaker. A windshield can also prevent the roof from crushing during a rollover accident. Interested in windshield repair in San Diego? Give us a call today for a free estimate.